CCM Tacks 4092 Jr Goalie Skate | Sports Etc. The Tacks 4092 goalie skate is engineered for quick recoveries in the crease. Its stiff construction helps to generate more power in every stride and push-off while a molded boot collar helps goalies with a deep flex to get into a low stance. CCM Comfort Fit– Open toe box and ankle for comfortable fit and natural foot wrap. Good for normal to slightly full feet. 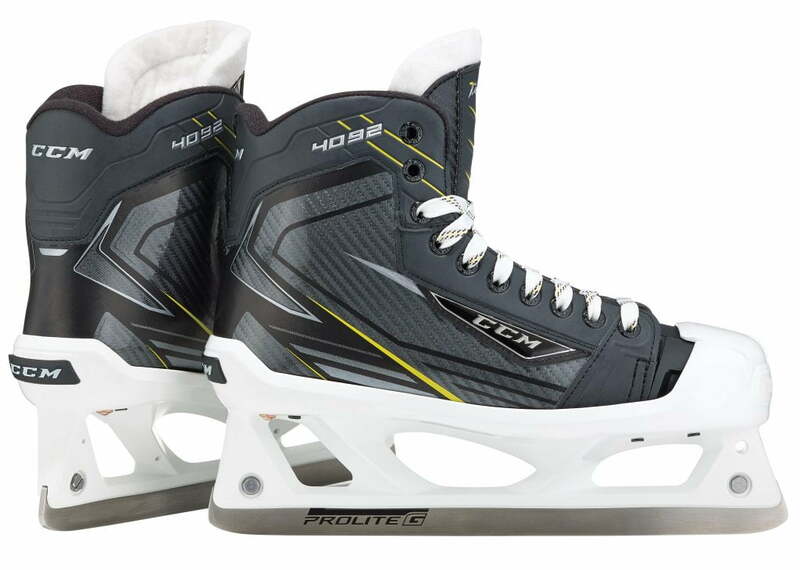 Sports Etc Performance To Value Rating– 9 out of 10- One of the best skates available for goalies looking for a traditional fit with added flexibility. Perfect for all skill levels.